While travel has been one of the first industries to move the bulk of its customer service and commerce online, we could now be on the edge of travel’s next big evolution — the embedding of IoT devices as a core part of the travel experience. 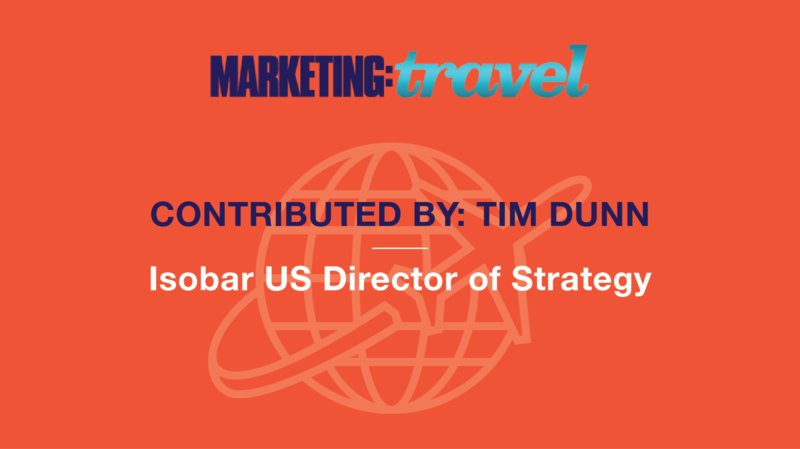 Recently, we’ve seen panoply of innovations aiming to solve consumer problems or add new features to enhance or differentiate different types of travel product. As with any new technology, it’s generally wise to integrate carefully into the experience. Start small before developing new gadgets into a major product line. Bucking that trend is the cruse industry. We are seeing new experiences come to life, based on a blend of Bluetooth and NFC technologies. These types of devices provide a layer of personalization throughout the guest experience. It does so by providing digital identifiers to crew and functions within physical spaces on the ship. These devices can flag users for preferential embarkation, unlock staterooms, order food and drinks to their current location, and even locate their friends and family around the ship — presumably not a favorite feature of teenagers. As more of a gimmick, the UK’s EasyJet have built pairs of vibrating shoes to help you navigate your favorite locations. Connected to a smartphone app, the left or right shoe will vibrate according to which direction it expects you to turn. While this sounds like a slightly comical approach to new technology, it could be argued that it significantly improves the experience of being a tourist in a new location. After all, who wants to spend their entire time staring down at Google Maps when exploring a new European city? Speaking of foreign cities, what could be more useful than a gadget, which like Doctor Who’s TARDIS, translates spoken foreign languages in real time? The Mymanu Clik is a set of earbuds that, when wirelessly connected to a smartphone app, can translate 37 different languages in real time, and will start shipping next month. This new type of ‘hearables’ has almost infinite utility in the travel space – everything from hotel reception desks to call centers to airport immigration agents can surely benefit from breaking down the language barrier. Even more integrated solutions for instant language translation could be built into rental cars. The risk for any voyage into the unknown of new technologies is getting the balance between the effort required to learn a new device and the benefit it actually offers. Ironically, the example that feels the most right by this measure is the navigating shoes. After putting them on, and entering a location in a map, you can completely forget about them and enjoy your trip. The same experience could be delivered via a smartwatch and companion bracelet. There’s an outstanding question about how much innovation will be delivered by travel providers, and how much will be embedded in platforms provided as part of Apple, Google or Facebook product. Till then, it’s worth running trials to solve the problems experienced by the modern traveler.